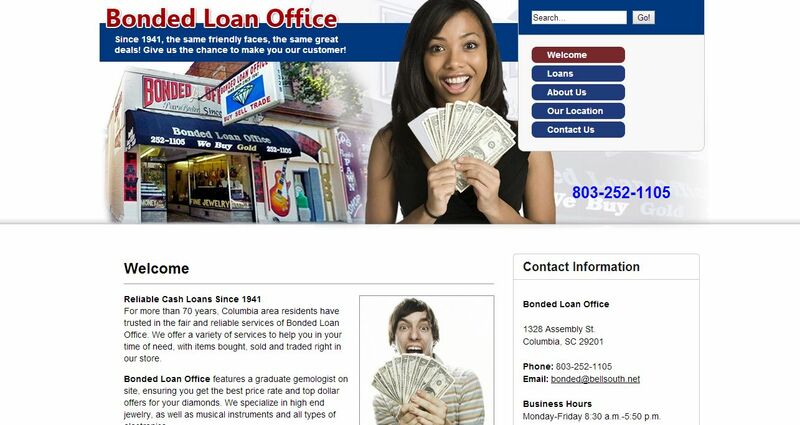 Bonded Loan Office address, phone, website, hours of operation, and more. For more than 70 years, Columbia area residents have trusted in the fair and reliable services of Bonded Loan Office. We offer a variety of services to help you in your time of need, with items bought, sold and traded right in our store. Bonded Loan Office features a graduate gemologist on site, ensuring you get the best price rate and top dollar offers for your diamonds. We specialize in high end jewelry, as well as musical instruments and all types of electronics.